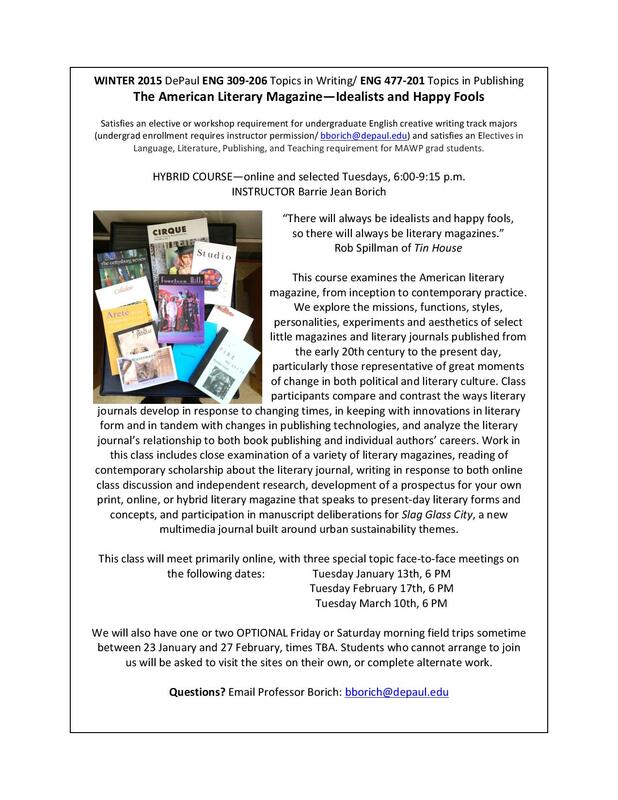 As registration for Winter Quarter continues, we’d like to draw your attention to an interesting and pertinent hybrid course focusing on the American literary magazine that is open to undergraduate students. Please note that instructor permission is required for undergraduate enrollment. 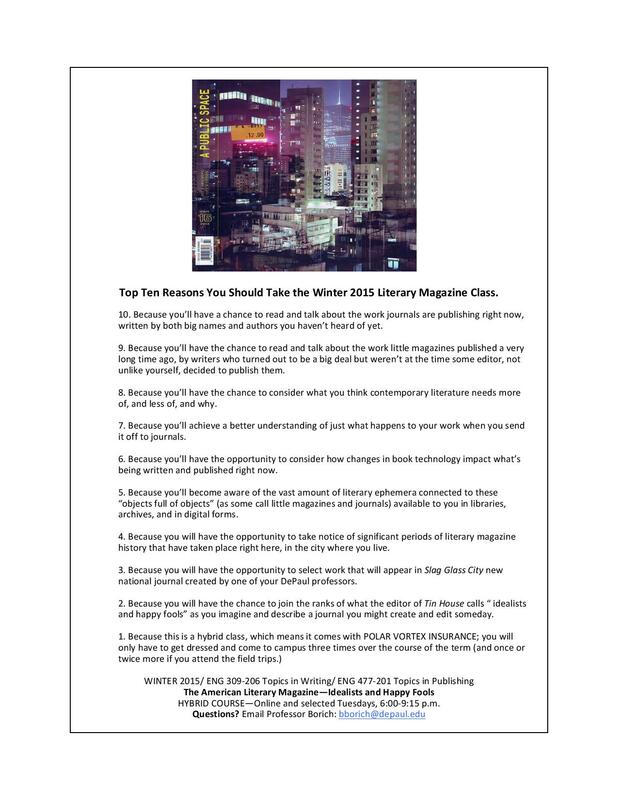 See the flyer below for details, and consider adding this interesting and unique class (the likes of which are somewhat uncommon in undergraduate English university offerings) to your Winter enrollment!